Fall traditions often seem to revolve around food: apple picking, Thanksgiving, pumpkin spice lattes. The fall season is a season of rich flavors and hot dinners - because nothing keeps fingers warm than being wrapped around a warm bowl. 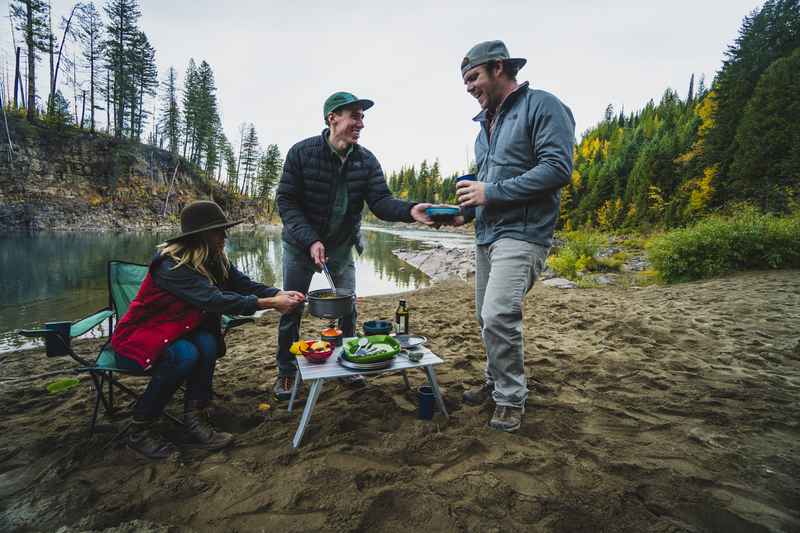 Whether in your kitchen, backyard, or favorite car camping spot, celebrate the harvest season by enjoying these fall recipes. Heat oil in a pot over medium heat. Add onion and sauté for 4 minutes until browned. Stir in pumpkin puree, broth, spices, sugar, and a dash of salt. Bring to a boil, simmer for 5 minutes. Remove from heat and stir in cream. Easy to make mashed potatoes warm the body no matter where you are - from the backyard to the backcountry. Boil water in a cooking pot, remove from heat. Stir in potatoes, onions, soup mix, garlic powder. Cover and let sit for 5 minutes. Split potatoes into two bowls and top with bacon bits. When it comes to fall flavors in a dessert, this dutch oven cobbler couldn't be easier. Light 20 coals or briquettes for use with your dutch oven. While the coals heat, scoop the pie filling into the bottom of the oven and spread out evenly. Add the box of cake mix in a layer on top of the apples, do not mix. Slice butter into pats and place pats on top of cake mix. Sprinkle lightly with cinnamon and place lid over the oven. Arrange 7 coals in a flat surface and place oven over top, then place the remaining 13 coals on the lid of the oven. Sit back and relax for approximately one hour - once the cake is cooked through and you smell apples, it's ready to eat! Fall flavors make the cold tent mornings and chilly fingers well worth it. Warm up with some delicious fall cooking!